Full disclosure: I’m reviewing this movie by mistake. 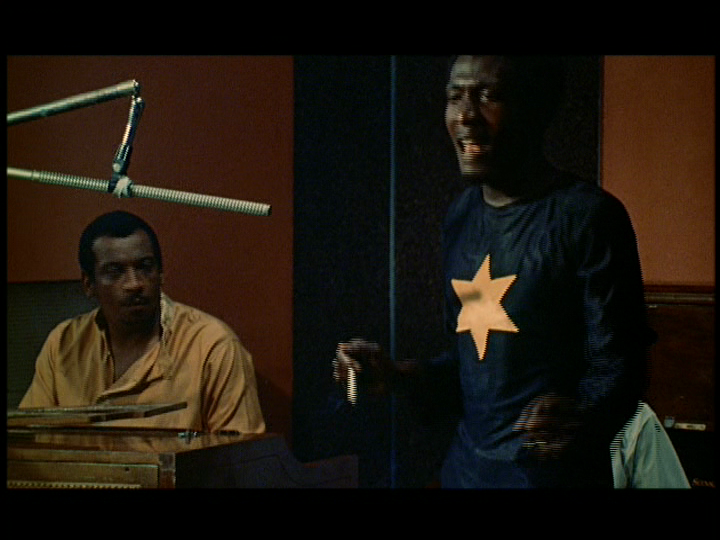 Not that The Harder They Come isn’t worthy of review, but I uploaded my piece on The Misfits to coincide with the Criterion Channel’s Friday night double feature with the intention of reviewing its companion to go along with it. One reprint, one new review. 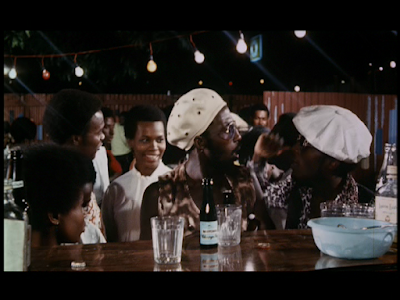 Only, about fifteen minutes into Perry Henzell’s 1973 reggae movie, I couldn’t help but think it was a strange companion to John Huston’s western. What was the connection? Having already seen The Harder They Come, it probably should have dawned on me before I even loaded it in, but I didn’t know. There had to be some logic to this thing, some commonality to this pairing. Because, of course, there is. But you have to have the right film to see it. The movie I should have been watching was The Harder They Fall with Humphrey Bogart. It’s Bogie’s last film, just as The Misfits was Gable and Monroe’s curtain call. Now that made sense. 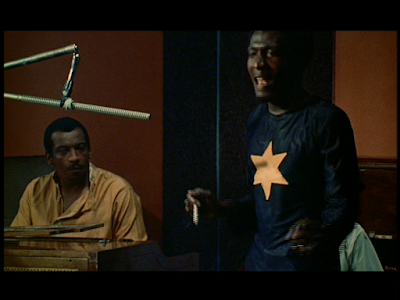 Which leaves me to write up The Harder They Come all on its lonesome. Apropos of...well, not nothing. I mean, I am supposed to be reviewing Criterion releases, that’s what this site is for. I’d say it’s easily more than ten years since I last watched The Harder They Come, back when I’d have said it wasn’t really my thing, and it took a little time after seeing it for me to eventually come back around to appreciate its legendary soundtrack, because I thought the music really wasn’t my thing and I’d say now with even more years on the calendar, I appreciate the movie a little more, as well. 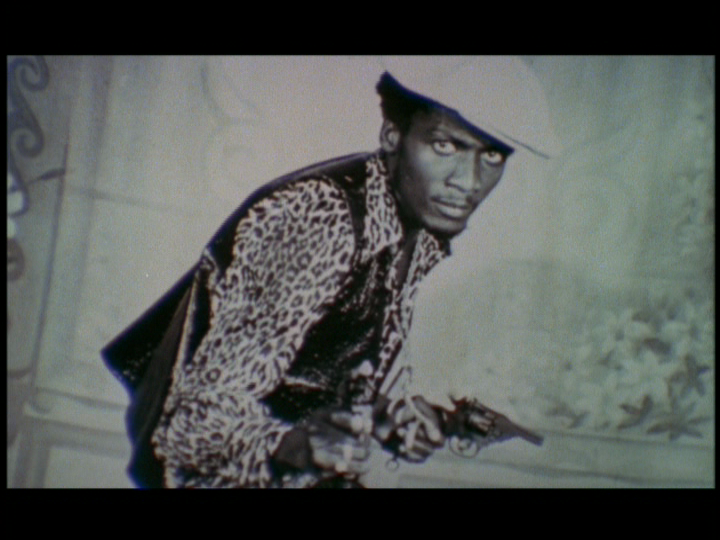 The Harder They Come was responsible for introducing much of the world to reggae music, and it made a star of singer Jimmy Cliff, who plays Ivan, a country bumpkin turned aspiring singer turned city gangster. 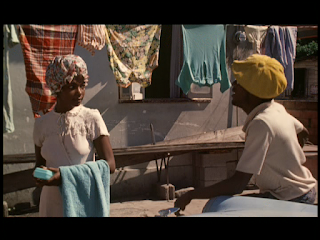 Ivan’s entry into Kingston immediately goes wrong: he’s robbed, his mother refuses to let him crash at her pad, and he ends up homeless and starving. When a local preacher (Basil Keane) takes him in and gives him a job, Ivan’s luck turns, but so does his attitude. Now more cynical about the way of things, he starts to take advantage and take what he thinks is his, including stealing a bike and sleeping with Elsa (Janet Bartley), one of the preacher’s adopted daughters (so to speak). After running an errand for the church takes him to a recording studio, Ivan grabs his chance and cuts the movie’s title song, but even that goes wrong for him. His stubborn hustle turns off the label owner (Robert Charlton), and the guy sits on the single. His fame slipping through his fingers, Ivan starts selling drugs, the beginning of a criminal spree that will turn him into a folk hero and make “The Harder They Come” a #1 hit. For as slick as that plot description sounds, The Harder They Come is not a slick movie. The narrative is rough and choppy, the acting sometimes questionable, and the overall look of it is not at all artful. But then, that’s also the charm of the thing. Henzell’s neorealist approach, shooting on location, using real people, working with the same scrappy fervor as his main character, creates a motion picture with a specific flavor that is altogether different to anything else out there. 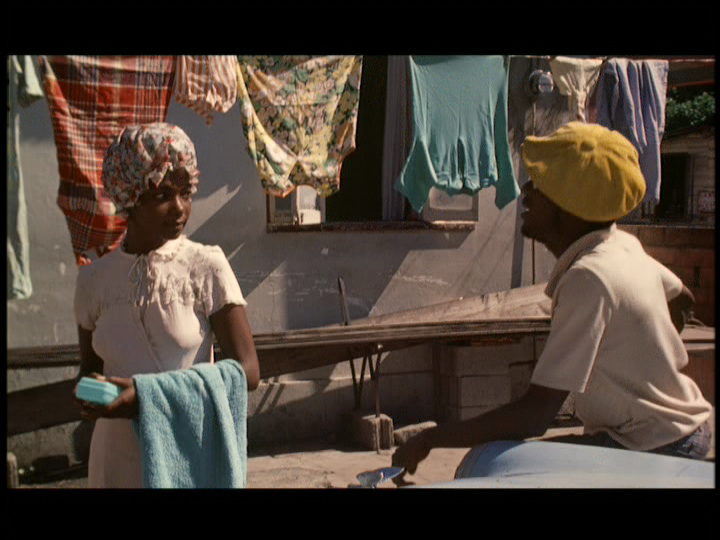 Henzell--who never made another feature--doesn’t just introduce us to Jamaican music, but to the country itself. The people and the locale really come through, and for as individual as that is, there is, of course, a shared experience we can identify. The themes and tropes of this poverty-stricken community are not all that different from the things we see in blacksploitation pictures or hear about in hip-hop. 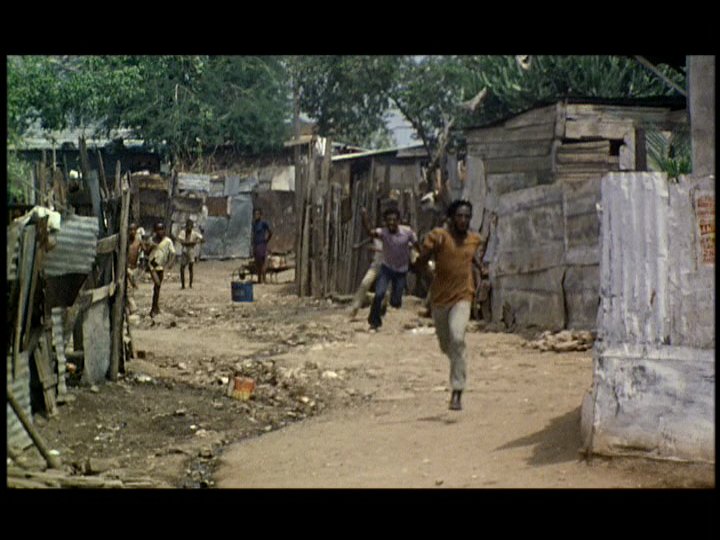 The Harder They Come has that same dangerous allure. 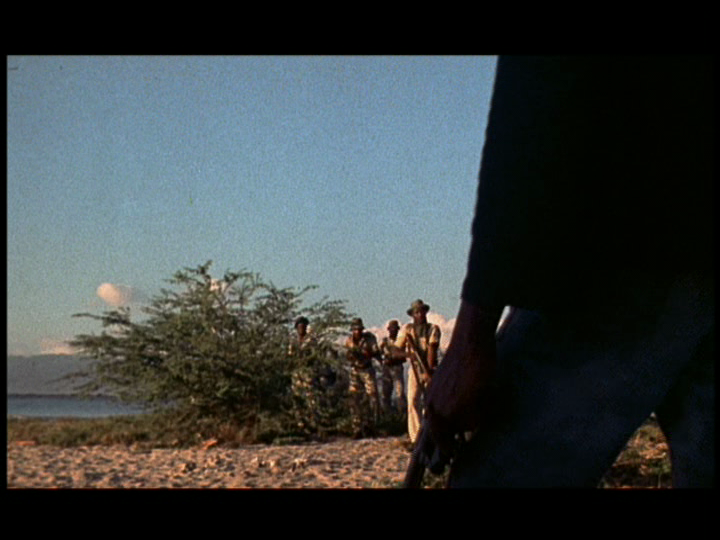 The film’s lone standout sequence, and one I would call entirely artful, is The Harder They Comes’s final scene. On his first night in town, Ivan gets a friend to take him to the movies, where he watches the original Django. Henzell jumps back and forth from the theater screen to the audience, whose loud reactions overtake everything, much in the same joyous way Sullivan sees the crowd enjoying the Pluto cartoon in Sullivan’s Travels [review]. The director calls back to this in the climax, when Ivan is having his shootout with the police. Between gunshots, we cut back to the movie audience, the people who have not only egged Ivan on with their attention, but also the ones we now see made his infamy possible. Brilliant! 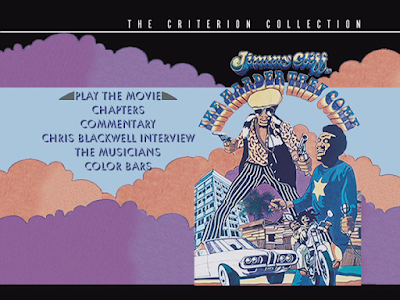 If The Harder They Come were made today, the music would probably be more integrated, Henzell and his trio of editors cutting the drama to the rhythm of the tracks. Here, though, they are more a part of the atmosphere, often presented as sourced live, being played by the characters in the scene (be it in the studio or on record), with many of the songs repeated more than once. It’s almost like a cinematic version of the radio, because the repetition means these things stick in your head. The shaggy quality of the whole thing makes for a more authentic experience, too. This is no market-tested compilation roping in the latest passing fad (“Limbo (feat. G-Eazy)”), but a real expression of a people looking to be heard--including one who makes it, and pays the price for doing so.